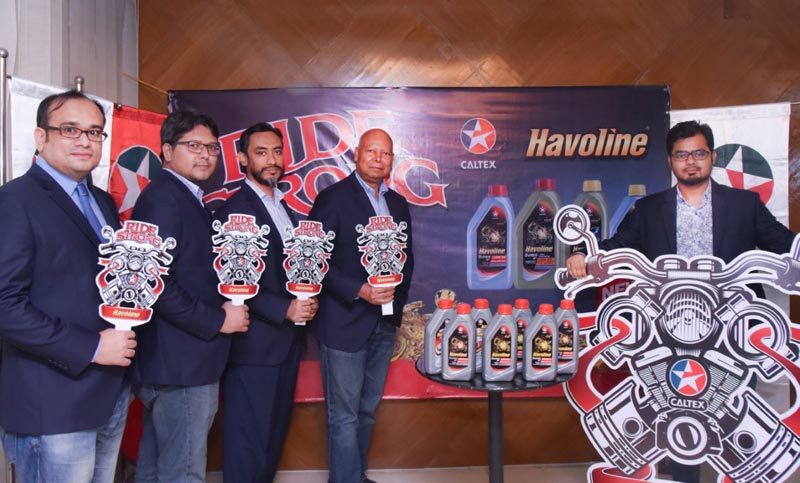 Caltex Havoline, marketed locally by Navana Petroleum Limited, has launched an enhanced range of motorcycle engine oils across Asia, which will improve the performance of the region’s two-wheel vehicles, said a press release. The product has been upgraded to address the needs of the growing use of two wheelers in urban areas and covers the popular viscosity grades requested by both manufacturers and riders, said the release. The new formula will benefit Bangladesh’s large and fast growing two-wheel vehicle population, which stood almost 2.5 million units now. Over the last few years there has been a shift in the use of two-wheel vehicles from rural areas to urban roads which has resulted in an increasing demand for better performing engine oil to deal with the heavy traffic conditions in the city, the release also said.. The product can be used in air- and liquid-cooled four-stroke motorcycle engines, motorcycles with back torque limiters, motorcycles with exhaust catalytic converters and motorcycles with combined engine and transmission units, or separate gearboxes where a multi-grade JASO MA or JASO MA2 engine oil is specified. In Bangladesh, Caltex Havoline Super 4T is offered in 10W30, 20W40 and 20W50 viscosity grades to facilitate the customers to use the correct OEM recommended viscosity grade, the release said.